Need an animal companion that will follow your party around, alerting enemies with ill-timed honking, and be territorial about party gear? 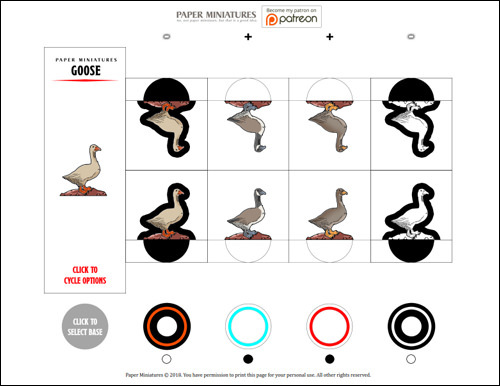 This goose paper mini is adorable. Thank you!